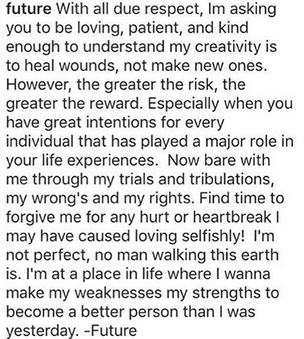 Valentine’s Day brought out the lovey dovey side of celebrities who don’t talk about their relationship often. And some we didn't even know were dating in the first place. But yesterday was like a BAE probate, all kinds of surprises. Just because they don’t talk or post about it much, it doesn’t mean they aren’t wrapped up in love. 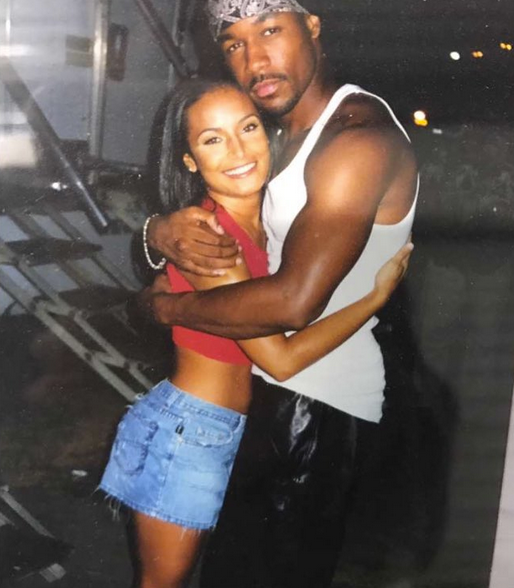 Some celebrities prefer to keep their love behind closed doors, but Valentine’s Day brought out the lover in them. 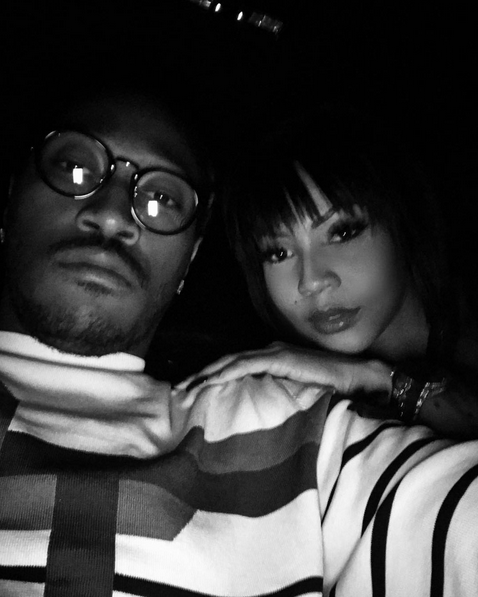 After being spotted together in an Atlanta club last month, it appears Future and his son’s mother Brittni are trying their hand at a relationship again. 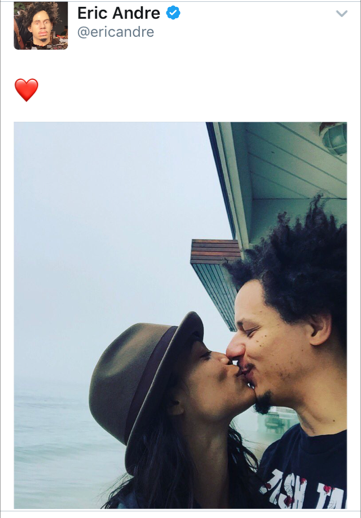 The two spent V-Day together and posted it on the ‘Gram for everyone to see. 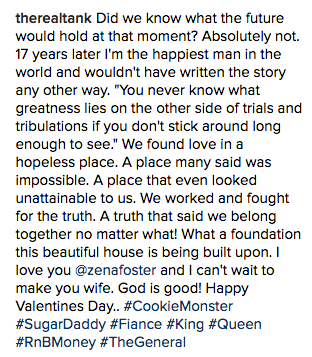 Brittni posted up the coupledom shot on her Instagram as well and it’s still there. 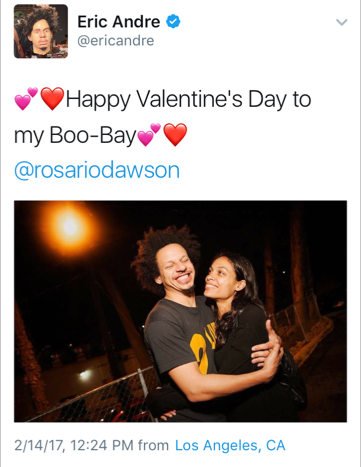 She captioned the flick, “Happy Valentine’s Day” with a red heart emoji. Nope, this is not a PR stunt or a prank. 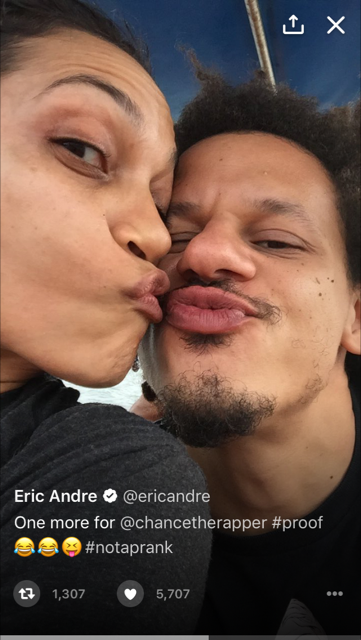 “Luke Cage” actress Rosario Dawson and comedian/”2 Broke Girls” star Eric Andre (who’s known for pulling pranks) are actually dating. 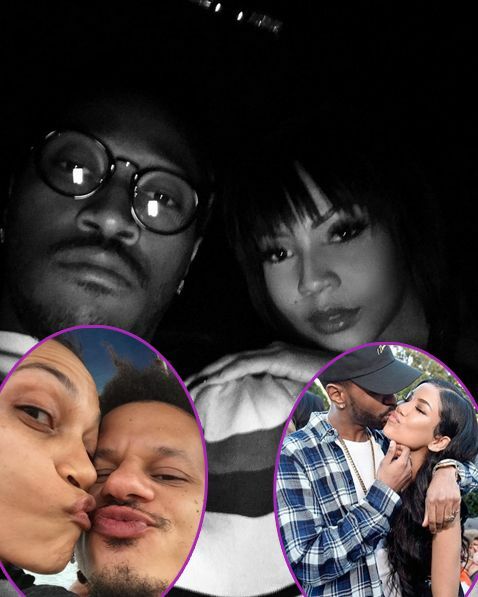 The couple showered each other with love on their social media accounts in honor of Valentine’s Day and it confused Chance The Rapper. 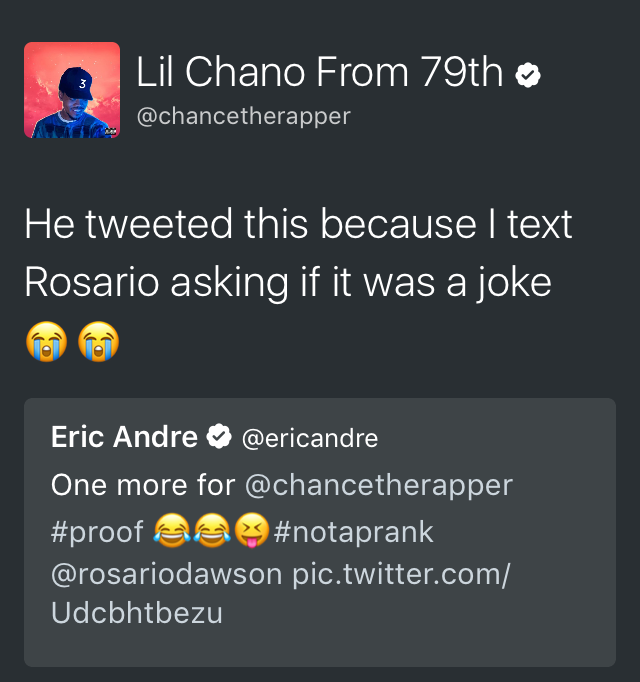 The three-time Grammy winner shot Rosario a text to see if their public love fest was a joke, because apparently, he's got a crush on her. 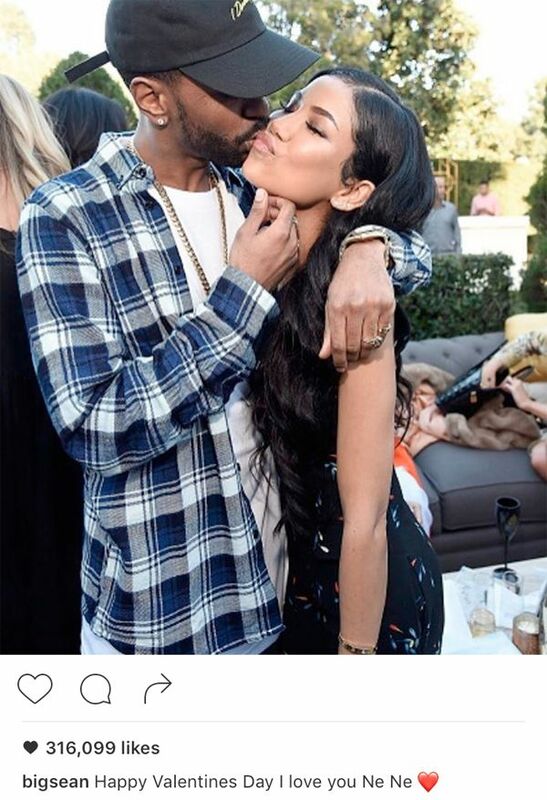 We always see Big Sean and his girlfriend Jhene Aiko together, but they hardly show public affection. 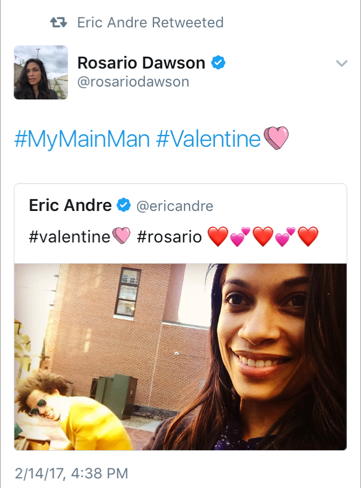 V-Day brought out his soft spot for his girl. 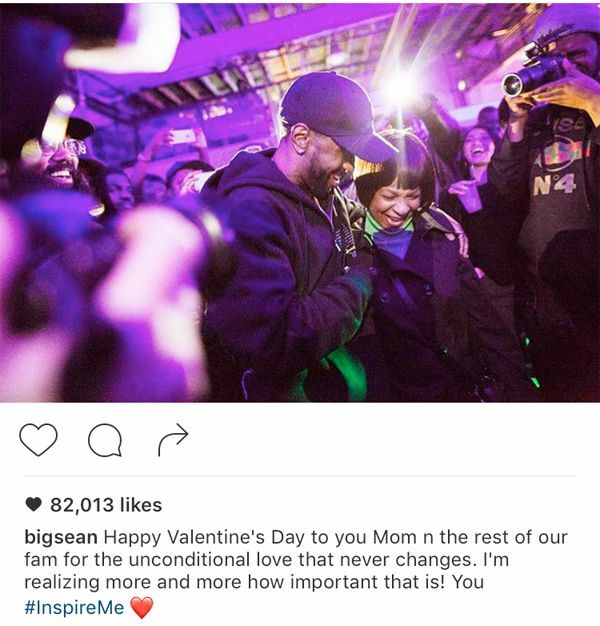 The Detroit native, who recently dropped his new album I Decided, also showed love to the first woman he ever loved, his mother. So sweet.